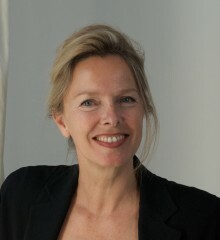 Andrea Schlieker is an independent curator, lecturer and writer. She conceived the Folkestone Triennial, the UK’s largest exhibition of newly commissioned works in the public realm by acclaimed and emerging international artists. She curated Tales of Time and Space in 2008 as well as the most recent Triennial in 2011, A Million Miles from Home, involving a total of 41 new commissions of sculpture, film, installation, sound and performance. Currently she is curating a show of David Batchelor’s work for the Fruitmarket Gallery, Edinburgh (2013), and is working towards a major new commission in central London of a work by Gary Hume (2013). Andrea has worked on a number of high profile exhibitions and site-specific commissions including the British Art Show6 (with Alex Farquharson); Fourth Plinth Project, Trafalgar Square (2003-05); and the Millennium Dome Sculpture Park (2000), as well as a range of temporary and permanently sited public sculptures in Vienna (Holocaust Memorial, Rachel Whiteread, 2000), Manchester and London. Andrea holds a PhD in art history (Bonn University) and has been visiting tutor at Goldsmiths College MFA Curating course as well as consultant lecturer MA Post-War and Contemporary Studies, Sotheby’s Institute. Recent publications include Folkestone Triennial: A Million Miles From Home, (2011); Mark Wallinger, Sinema Amnesia, in: My City (2011); Folkestone Triennial: Tales of Time and Space (2008), Tonico Lemos Auad: Gold, Death and Magic. A conversation (with Alex Farquharson) (2007), Nathan Coley: Negotiating the Invisible (2006), Ayse Erkmen: Under The Roof (2005), British Art Show6 (2005), AK Dolven – Moving Mountain (2004).